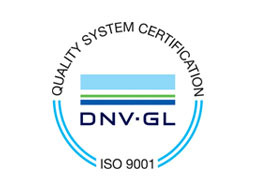 Meet requirements of ISO 9001: 2015 international standard. Document Company best business practices. Fully understand and satisfy our customers’ needs and expectations. DALGAR S.A. participates voluntarily in the “Responsible Care of the Environment” program, which focuses on continuous improvement of safety areas, occupational health and the environment, promoting responsible handling of chemical products and Staff training therefor, while meeting essential safety and hygiene requirements.